Today is an exciting day for me. You’ve all read my ridiculous fan-girling over The Lunar Chronicles series and how much I absolutely adore the audio versions of these books. 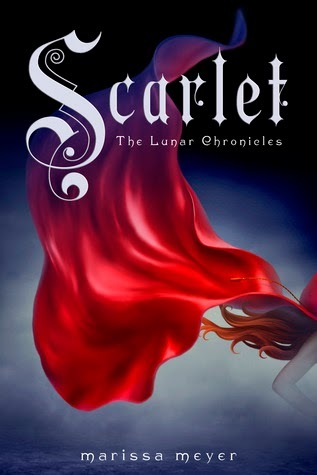 I am thrilled to have had the opportunity to interview the narrator of Cinder, Scarlet, Cress, and other books – Rebecca Soler. Rebecca, thank you so much for taking time out of your insanely busy schedule to talk with me! 1. How did you make the jump from acting on stage to narrating audiobooks? I am really lucky that I’ve been able to do a lot of animation voice over work in addition to my stage work. This was key to helping me transition into narration. For both you create silly voices, but with narration you do ALL the voices. 2. Was the adjustment difficult? Sitting in a booth on the first day and reading “Chapter 1” knowing you will not finish speaking until every word is accurately brought to life, sometimes 4 days later, can be daunting. The more and more I narrate the better I have gotten at trusting my pace, relaxing my mind and giving over to the authors’ worlds. 3. How do you prepare for the narration of a book? How many times do you read the book before actually recording it? WARNING LONG ANSWER! I generally read the entire book twice and the section I am reading the next day once more the night before. During my first read through I take notes of every character that is mentioned and speaks, mining for personality traits, relationships and the author’s descriptions. Sort of like one big org chart or who’s who. After that first read, I start mapping out which voices are going to be for which character and begin taking notes in the book’s margins, highlighting characters by color. I also write in performance guides to myself throughout, especially before dialogue. If the line was “I told you no!” she hissed. I’ll write “hiss” to the left of the line. Also I write things like “Pace” or “Nervous rambling” or “Sarcastic”. Just little reminders to myself of how I want to attack a certain section. 4. Cress is over 15-and-a-half hours long in its audio format and 560 pages in its hardcover format. How long does it take to complete the process of recording an audiobook of this size? Cress took 4 fun-filled-caffeine-fueled days to record! 5. Do you read directly from the book, or do you have a script that is provided instead? 6. In the Lunar Chronicles series, you use many different dialects (southern-American, French, German, African, Australian, English, evil-queen-ese), as well as female, male and robotic inflections. Is it difficult for you to switch back and forth so frequently? Does it ever get confusing? I LOVE getting to do so many accents and dialects. It actually makes me feel freer to play. I have more options when voicing characters that I wouldn’t traditionally be cast as in the real world: men, the Queen of England, a Chinese Prime Minister. Plus it takes me back to my animation roots. 7. Do you have certain genres that you prefer to narrate? I love fiction in any genre, but the fact that I get to narrate my guilty pleasure YA fiction is just the best job a girl could have! 8. Do you listen to audiobooks for fun? Do you gain inspiration from listening to other books, or do you find yourself critiquing them? I like listening to audio books during road trips. Sadly living in Manhattan, I don’t get to drive that often. I tend to walk a lot and take the subway (where I always have a book in hand). However if you want to be BLOWN AWAY by someone who can narrate a million different characters with ungodly specificity, listen to Marc Thompson narrate the Star Wars series. He is so inspirational. 9. Do you read regular books? What are you reading right now? Do you find yourself doing the voices and such in your head while you read? I am a voracious reader. You can see the glow from my iPad late into the night because I have to read “just one more chapter.” If you don’t like to read, then you should never try narration. You have to really love and respect the written word to read a book 3-4x and speak for 5-7 hours a day. I am such a fangirl when it comes to writers. Recently I finished The Goldfinch by Donna Tartt and Beautiful Ruins by Jess Walter. Both were wonderful. 10. Can we expect to hear your voice on the audio version of Winter (The Lunar Chronicles #4)? What projects are you currently working on? Yes! The best part about my job is that I will get to read Winter before anyone else!!! (dodges a punch) I can’t wait to get my hot little hands on it! This week I just finished narrating a stunning book called “Troika” by Adam Pelzman. It is a complete departure from the Lunar Chronicles. It is a riveting and at times heartbreaking modern love story that intersects the lives of a Cuban stripper, a Siberian Businessman and his paralyzed Upper East Side wife. 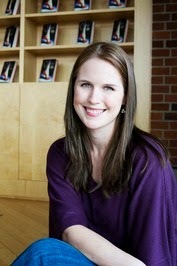 Rebecca, thank you again for satisfying my curiosity and telling us all about how the audiobook recording process works. I, personally, can’t wait to listen to other books recorded by you. I wish you nothing but the best of luck in all your future endeavors. 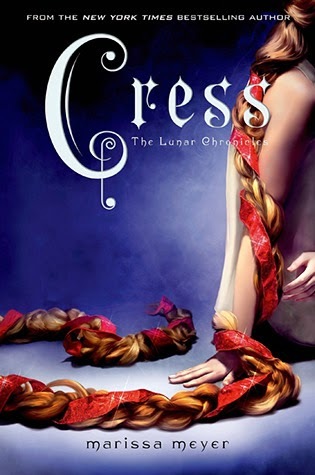 Keep scrolling to enter a giveaway for Cress in audio format AND any book in the Lunar Chronicles series in hard copy format. Then, read my 5-million-star review of CRESS here. It's a good one! Rebecca grew up in Boston (go Patriots) and credits her mom for enforcing the pronunciation of the letter R at the end of her words. In high school she moved to Sugar Land, TX and met her best friend/future husband while in a riveting production of “Once on this Island”. Rebecca spends much of her time in a recording booth convincing you to buy stuff, making silly voices and narrating YA novels. Consequently she is an expert in unrequited love, the supernatural, frozen yoghurt, household cleaning products and supernatural teens who eat froyo while cleaning. She gave up running marathons but trains 4x a week with her ex-marine boot camp instructors...because she WON’T give up cheese. 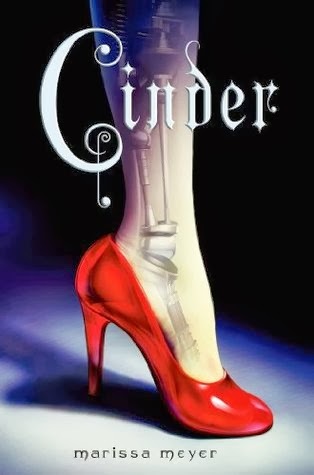 CINDER is my first novel, though I have an adorable collection of unfinished ones lying around too. I now live with my husband and our three cats (Calexandria Josephine, Stormus Enormous, and Blackland Rockwell III), who go in and out, in and out, about eight hundred times a day. My favorite non-bookish things include Reese’s Peanut Butter Cups, re-watching episodes of Firefly, and playing all manners of dress-up. Because I love the audio version of The Lunar Chronicles series so much, and because the fine folks at Macmillian are so very, very generous, I have Cress in audio format (13-CD set) for one lucky winner in the US or Canada. *squeal! 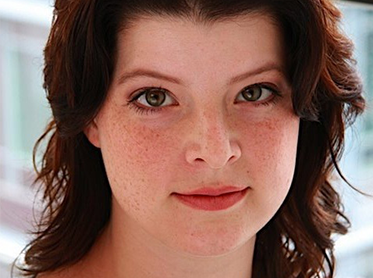 * I can't wait for you to experience Rebecca Soler for yourself! For one international winner, you can pick one of the books in The Lunar Chronicles series, and I'll send it to you from The Book Depository. So, what are you waiting for? You know what to do! Great interview Krista & Rebecca! I'm still a bit of a newbie when it comes to audiobooks so it was fun getting a peek behind the curtains so to speak. I also liked hearing about your note taking process. Great interview! It's so much fun and interesting to read an interview with an audiobook narrator. It almost makes me want to pick up the audio book of this, but I think I'll just stay with e-copies and paperbacks for the time being. And thanks so much for the international giveaway! After reading so many awesome reviews for this series I am finally convinced I have to read this series too! Amazing interview! I love the Lunar Chronicles audiobooks; Rebecca is one of the best narrators I've ever listened to so I really hope I van snag this copy. Thanks for the giveaway!